For younger children sound can be extremely sensitive to them. For parents who want to take their child someplace that has loud surroundings noise cancellation headphones are perfect to protect their little one’s ears and hearing. These headphones are perfect for concerts, loud work situations, any type of amusement park, even during firework shows. These headphones will protect your little ones ears and it’s one less thing parents have to worry about. We came up with a top ten list of the best headphones for your little ones. We are sure you will find exactly what you are looking for. For this update we added one new product to our list of the best ear defenders that the market has to offer for 2019. These headphones are perfect and will protect your little ones hearing in a loud noise setting. All of the headphones on our list are all highly recommended and will protect your little ones ears. For any other questions that you may need more answers too regarding these headphones please check out our FAQ. Baby Banz are one of the most popular choices for baby ear defenders. With a high noise reduction rating that is industry leading, they are sure to give your baby the best ear protection. The earmuffs have a padded headband to provide optimum comfort and support for your baby’s delicate head and are very lightweight preventing unnecessary pressure on the head, neck, and shoulders. These earmuffs are specifically made for a baby’s continuous growing and molding head and come in 16 colors giving a great choice in fashion and style for your baby. They can help aid in the molding of the baby’s head as it is adjustable therefore growing with your baby’s developing skull. The made-to-fit construction of the earmuffs helps to keep the earmuffs from slipping off the baby’s head while also being lightweight to prevent any pain. Very small size for easy fit. Free of parts that can snag. Padded and cushioned comfort material. Lightweight size and wide ear cushions. They are so small that they can fit in the palm of your hand providing easy fitting for your baby’s head and easy storage. They weren’t kidding when they named these ear defenders “My Happy Tot”, because your toddler will definitely be a lot happier at a concert with these strapped to their head! You can tell just by looking at these ear defenders that they’ve been designed with the utmost care and thought for your baby’s ears. Since a child’s ears are much more sensitive when it comes to loud noises, they need something that will 100% block out sounds -- These ear defenders are up for the challenge. With padding around virtually every part of these headphones, including on the earpieces, your child will have no issue wearing them comfortably for long periods of time. They’re adjustable, durable, and totally lightweight so you know they’re designed with children in mind. When you purchase these ear defenders, you’re also getting with it the promise of a product that’s long-lasting. These are built to last and will do the trick in canceling out noises that could potentially frighten your baby or hurt their ears. The comfortable fit of these headphones is how you can tell that care was taken to design them. It can often be uncomfortable wearing a pair of weird headphones when no one else is, and these are sure to coax your baby. The HearTek Kids Earmuffs is made for virtually everyone in the family from small-sized adults to babies. The pointed ear cushioning design provides maximum coverage of hearing protection and the ear cups are adjustable which can make for a great seal to prevent any kind of unwanted noise from seeping through. The earmuffs are waterproof making it a great option for any loud activities near water such as the waterpark or fireworks at the beach. They are foldable for easy storage and come with a nifty travel bag for easy carrying when not in use. Padded and soft for optimum comfort and are specifically made for small ears and are made to grow with the baby. They are made to grow with your child therefore, these earmuffs can last from newborn to elementary child giving long-term positive results of hearing protection. The special design of the ear cups will give your baby maximum coverage from ear tip to earlobe which will help prevent any unnecessary noises from penetrating your baby’s ears. Designed for optimum hearing protection. Waterproof protection and easy to clean. Will continue to fit as baby grows. Ear cups collapse into a headband for easy folding. Ear cups are adjustable for best fit. The waterproof feature makes it a great option for water activities or if you and your baby get caught in the rain. The Vanderfields Earmuffs for Kids are crafted with supreme comfort in mind for your baby. The headband and ear cups are highly cushioned and padded to give great comfort without skimping out on hearing protection. The earmuffs are made from strong and sturdy material allowing these earmuffs to be a great playtime option. They are certified by the American National Standards Institute (ANSI) and the Conformité Européenn (European Conformity)(CE EN) giving extra coverage for the traveling tot. Its high-level industrial grading makes these earmuffs work in the harshest environments and the 2 layer reduction foam provides extra hearing protection. These earmuffs fit very lightweight and are made to grow with your baby. The very thick padding helps to provide maximum comfort but is crafted to lie easily and evenly against the head to keep uneven hearing protection from developing. If you are a very active parent or have a baby that can’t stop rolling and tumbling around, these earmuffs are made to withstand high activity to keep from breaking and potentially hurting your baby. Focus on comfort and size. Could be too big for some baby heads. Muffle noises instead of canceling noises. They are certified with very high rating standards making sure your baby receives the best hearing protection. The BEBE Earmuffs are a cool and stylish choice for ear defenders without skimping out on hearing protection. The earmuffs are crafted with a focus on size and comfort and these earmuffs are very lightweight with an ergonomic design to provide the best comfort and efficiency. The design is a one-design unisex design that is padded softly with muff wear ear cups to give a fit that is sturdy and strong. These earmuffs are lab tested and approved for US and Euro standards with a high noise reduction rating. Very lightweight and compact and made with a long-lasting construction. 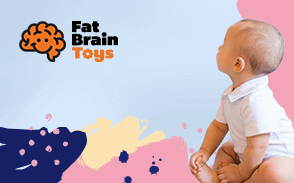 The ergonomic design helps to create an efficient fit for your baby’s head. An efficient fit ensures a safe, easy and proper interaction between the earmuffs and your baby helping to keep irritation, discomfort, and frustration at a minimum. Some loud sounds can still penetrate. The unisex design is perfect for gender neutral parents and the focus on ergonomic design help to provide comfort that works with the baby’s head and body. These noise cancellation headphones are perfect for toddlers for any loud type of event show you may be going too. They are extremely lightweight and made of non-toxic materials. They are perfect to help protect your child's ears from any type of noise. They are soft and specifically designed from children. These headphones are adjustable to fit your child at a comfortable level. They fold up as well and come with a little drawstring bag. They are made of non-toxic materials making them 100% eco-friendly. They are lightweight and perfect noise cancellation. They have soft ear cushions and are made of ABS material so that they have a protective seal along your child’s hearing. We love this product because these headphones are extremely light weight and perfect for any type of gathering you are going to where they may have louder sounds. We love that they come with a drawstring bag which makes them perfect to travel with. They are the perfect gift for any occasion. The Pro For Sho Earmuffs are specifically designed for newborns, infants, and babies. The earmuffs come with a unique square shape design of the ear cups to help keep the earmuffs secured on the head and to provide an evenly spread hearing protection. These earmuffs are free of wires giving an added protection from any broken or damaged parts. The earmuffs are made to help soothe the baby and prevent any discomfort and damage to the baby’s developing skull. While not certified by any hearing protection association, they are designed to provide the best noise reduction ability. The wire-free design gives extra safety for the baby in addition to hearing protection. It can keep unwanted hazards and dangers to the baby away if the earmuffs were to ever break apart. Made for a newborn’s head. Square shaped ear cups for even coverage. Wire-free makes it less ergonomic. They are crafted to fit properly on a newborn’s head and the ear cups are designed to for an evenly balanced noise reduction. These ear defenders will work wonders with your toddler. They come in three different colors which, as we all know, toddlers are going to adore. They’re easily traveled with since they can be folded and slipped into a diaper bag, which makes them perfect for concerts, firework viewing, etc. The headphones themselves feature an adjustable headband for added secureness and are also padded for extra comfort. It’s challenging enough to get toddlers to wear something they don’t want to, and convincing them to wear a set of noise-canceling headphones can be even more difficult. With a bit of bright color and the reassurance that comes with a comfortable fit, these headphones make that battle one to be won. These look like something that a child would wear which makes them super appealing to toddlers. With a little convincing, they might even grow to love their ear defenders. If you’re looking for something that can be worn specifically at six months or older, Edz Kidz is a great place to find age-appropriate ear defenders. They come in a variety of different colors but even more importantly, they work! These ear defenders are simple but do the job of canceling out loud noises while providing a comfortable, safe fit for your child. They’re also lightweight and built to last with durable and strong materials that are guaranteed to last years. Toddlers can be rough on their toys sometimes and while these aren’t a toy, that won’t stop them from throwing them on the ground. Edz Kidz ear defenders come with the promise of a long-lasting product. It’s not the easiest thing for toddlers to wear headphones, especially when it’s something foreign and unknown to them. Edz Kidz ear defenders offer comfort, but also an age-appropriate fit that kids won’t mind. For older kids (toddlers and up), the Mpow ear muffs are the perfect choice for noise-canceling headphones. They feature industrial-strength interior foam that helps to absorb sounds and create a barrier between your child’s ears and the noises they won’t be hearing. The ear muffs are also padded to provide a great fit, and the durable plastic headband has four adjustment settings. These are the type of ear defenders that will grow with your child and keep their eardrums safe. These noise-canceling ear muffs have been dual-certified safe for kids of all ages. They’re comfortable and what’s better, they actually work. Each Mpow comes with the certified promise that they’ll do your child’s ears justice in blocking out loud noises. These are perfect for loud events, but also for everyday chores around the house, such as vacuuming, that can be loud and overwhelming. When coming up with our top ten list one thing that we specifically looked into ear defenders that were specifically designed for children. Hearing loss is one of the most common things today in even young children that it’s incredibly important for parents to make sure that they protect their little ones ears whenever they are in a loud surrounding. It’s also reminded to parents that if your child is listening to loud music nonstop for four hours or longer during the day it can also affect your child’s hearing as well as other loud noises. You should have your child surrounded with soft and consistent sounds. We know that it can be a bit overwhelming for parents to choose the right ear protectors for their children. We came up with the highest rated ear defenders on our list that has nothing lower than a 4.0 rating. We looked at everything from positive to negative reviews. One thing that parents need to understand is material. Every headphone on our list are all long lasting and adjustable for your child. We made sure that we looked at everything that was suitable for every family’s needs. We are sure whatever you are looking for in an ear defender to help protect your little ones hearing you will find it on our top ten list. It’s also incredibly important to note that all of our headphones on our list all have noise cancellation features. This is so that they prevent the loud noises around your child so that they protect their hearing. These ear defenders are perfect if you’re planning on going to an amusement park, firework show, monster truck show, concert etc. Your little one will be protected and still get to enjoy going to wherever your next adventure takes you. Sound is measured in decibels (dB) and ear defenders come in various levels of sound protection from low-level protection (outside activities, school activities) to high-level protection (concerts, power tools). Most ear defenders are made to be used for up to eight hours but some are made for only four hours. Ear defenders provide protection from sound by using acoustic foam which helps to absorb the sound waves which in turn, reduces any sound discomfort for a baby’s sensitive hearing. The best ear defenders have the greatest noise-reduction rating. Since ear defenders fall under the category of personal protective equipment (PPE), the majority of ear defenders are usually made from metal or hard plastic (particularly the headband area) which could be quite uncomfortable for babies. Therefore, ear defenders for babies need to have cushioning to keep the baby’s head and ears free of discomfort. The best ear defenders for babies have a curved headband (usually padded) to help evenly distribute the ear defenders weight and pressure and prevent headaches. Ear defenders are crafted from metal or plastic and can contain dyes for the various designs on the ear defenders body and acoustic foam; acoustic foam is usually treated with flame retardant as well. While no ear defenders for babies that are without these material ingredients have been discovered, the ear defenders on our list are specifically crafted for babies and are proven to be made with the highest standards of safety in mind. A few of the ear defenders are BPA-free and eco-friendly. A baby’s head is small, delicate and continuously growing. The ear defender needs to be able to fit the baby’s head without being too large to create bulk or too small to create tightness. The fitting of the ear defenders has to be adjustable so it can grow with the baby’s developing skull. If the headband of the ear defender is non-adjustable or is a snug fabric, it has to fit evenly across the baby’s head and be lightweight enough to prevent unnecessary molding. The stability of the ear defender is very important. The ear defender has to be able to sit on the baby’s head without slipping off, sliding off or be easily pulled off by the baby. This also includes the construction of the ear defender as it has to be strong and sturdily built to withstand any activity so it will not break, crack or fall apart easily. It also has to help keep the baby’s head stable as the baby develops their neck strength and learns how to hold their own head up. Q: What are ear defenders? A: Ear defenders are an analog, manual object to help protect an individual’s hearing from loud and harsh sounds for up to eight hours or more. They can also be known as earmuffs and ear defender products marketed towards babies and children are usually listed as earmuffs. Q: What are the different types of ear defenders? A: There is quite a variety of ear defenders but the most common are the earmuffs and earplugs. Earmuffs are the products on our ear defenders list and earplugs are made to be inserted into the ear canals but are not a smart option for babies. Q: Where can ear defenders be worn? A: Ear defenders can be worn wherever there are loud noises that your baby will be exposed to for long periods of time. The best places to wear ear defenders are sports games, concerts and festivals. Q: How can ear defenders help my baby’s hearing? A: Acoustic foam that is placed within the ear cups is used to help with noise reduction. It doesn’t block the sound but it helps to reduce the strength of the sound waves by absorbing the waves. Therefore, your baby will still hear the noise but it will be soft and light against their delicate little ears while using ear defenders. Q: What noises can ear defenders protect against? A: Low-level noises such as normal conversations and high-level noises such as machinery. Ear defenders can also help defend against high decibel (dB) noises such as thunderclaps and toys that emit a lot of high-pitch interactive sounds. Q: Why should I purchase ear defenders? A: You should purchase ear defenders to protect your baby’s very sensitive hearing. One in eight children is diagnosed with hearing loss from typical, common things such as loud crowd gatherings, loud music, and loud tools. If your baby will be exposed to such loud sounds at continuous hours then it is best to invest in ear defenders. Q: Is there a difference between ear defenders and earmuffs? A: Yes and no. When people hear the word earmuffs, they think of the soft fabric material that is used during the winter to protect ears from cold, damp weather. In discussions of hearing protection (workplace safety for example) the word earmuffs is used in exchange with ear defenders and ear defenders are sometimes marketed as earmuffs. Since ear defenders sit on the head and cover the ears, they can be considered earmuffs based on their design. Q: Do ear protectors defend against the weather? A: While ear protectors may prevent loud noises associated with storms such as high wind and thunderclaps from damaging your child’s hearing, the ear protectors themselves are not designed to protect their ears or skin from damaging temperatures or weather conditions such as rain or snow. For these cases, a pair of earmuffs or a hat worn on top of the ear protectors would be advisable. Q: Ear protectors or headphones? What’s the difference? A: Ear protectors are designed specifically to block out loud ambient noises that can damage your baby’s sensitive hearing. They do not provide any sound on their own. Headphones are designed to transmit music or other sounds from an audio device to your child’s ears. Volume-limiting headphones can be an ideal way to distract your child from other loud noises that may frighten or overwhelm them and some headphones are designed to block external noise as well, functioning in a similar manner to ear protectors. To prevent hearing damage, ear protectors are the best choice. To protect your child from a stimulus that may be overwhelming them, especially in the case of autistic or special needs children, noise-canceling headphones can provide a focus for their attention while also protecting them from external sound.